Over the upcoming winter break, more than 150 Isenberg faculty and staff will be packing up their current offices and moving—some to the new building, others to more comfortable digs in the “old” buildings. By the start of the spring semester, the Hub’s doors will open to students, welcoming them to a new stage of Isenberg’s upward trajectory. 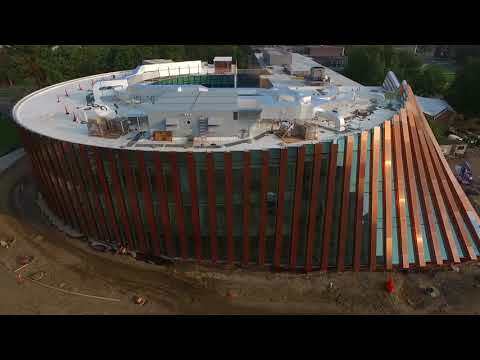 The new building serves as a commitment to Isenberg’s growth and cements its reputation as one of the top public business schools in the country. We’ve already received many generous gifts from donors, some of which are profiled here. Isenberg’s active and involved alumni are a major part of what attracts the best students and faculty to the school. We welcome you to join your fellow alumni and friends to support this next chapter for Isenberg. If you’d like to discuss making a gift or naming opportunities within the Business Innovation Hub, please contact the development office at 413-545-5604. We hope you’ll join us at the Hub’s grand opening celebration on April 12, 2019.